Leaving all moral and existential judgments aside, I don't care how much of a weakness you have for unattainable or married individuals-- the last woman in the world that you should ever put the moves on is the wife of a diabolical dictator. 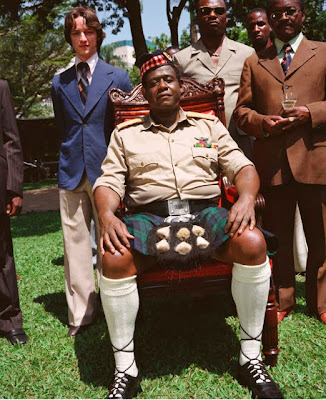 Yet, try telling that to Atonement star James McAvoy who makes like a Fiennes brother in the '90s and goes after not just another man's woman on film but General Idi Amin's largely shunned wife Kay (Kerry Washington). Of course, one could argue that Amin has enough wives to make Bill Paxton on Big Love jealous. And despite the fact that this is somewhat rooted in the fact that McAvoy's character is a composite of two real life men including a local doctor who did seduce Kay, witnessing it onscreen seems ludicrous. For soon McAvoy goes from trusted confidant to acting like a shady double agent, complete with the makings of a revenge scenario that we also don't buy as the work charges towards its tense and brutally bloody finale. 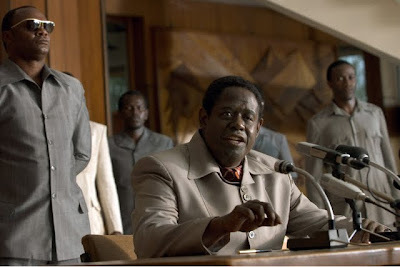 The 2006 work has been rightfully praised for its audaciously charismatic portrayal of Amin by Forest Whitaker in his Oscar winning role which is elevated by his ability to go through the entire range of human emotion in a single scene. 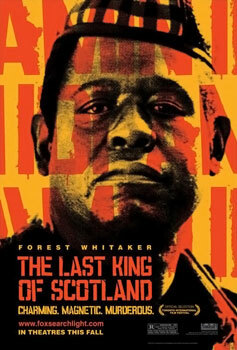 Based on the novel by Giles Foden, the film derived its title from a question posed to Amin in a press conference is adapted by Jeremy Brock and Frost/Nixon, The Queen and The Damned United screenwriter Peter Morgan. While the talented McAvoy seems a bit too young for his role, which nonetheless was written to be much younger than that of the character from the book, he's impressively able to play off of Whitaker even during the man's most horrifying extremes as he moves from playful laughter to out-of-left-field accusation. Scotland's look indicates that it was purposely filmed like a docudrama which seems particularly fitting not just for the biopic format but because helmer Kevin Macdonald was previously best known as a documentarian. And although the move to high definition retains all of the intended grain and '70s news footage style photography of the theatrical experience, the best improvement in the Blu-ray format is through it's more immersive DTS-HD Master Audio track which immediately calls you to attention and ensures you miss nary a nuance throughout the 123 minute running time. 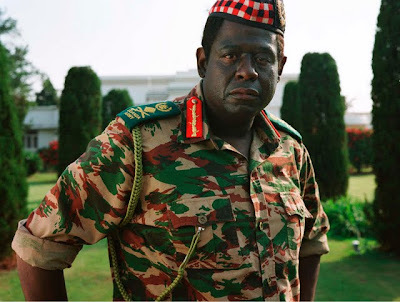 And while it's easy to become caught up in the goings on, in spite of some of the plausibility elements that bog down the film, it's a bit unsatisfying to barely get our bearings in Uganda before McAvoy embarks on a rather rushed climb to becoming one of the most trusted members of the General's inner-circle. 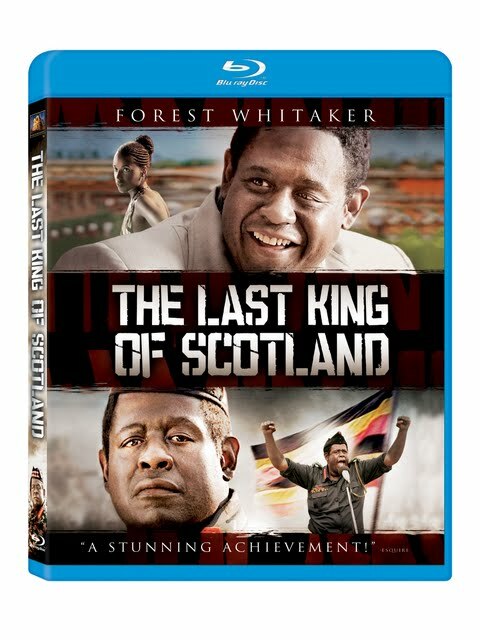 The first film production made in the west since The African Queen to film in Uganda, overall The Last King of Scotland is highly compelling, volatile filmmaking bolstered twofold by Whitaker who commands a scene in what is arguably his most electric performance in his career thus far.